When your parental rights are terminated by DCP&P, there are a number of options in terms of your child’s future. One of them is adoption. Once the child becomes adopted, the adoptive parent is your child’s parent – the adoptive parent will be make all of the medical and educational decisions and can change your biological child’s name. Termination of parental rights and adoption are permanent. Only in the most rare of circumstances will the Court entertain vacating a Judgment of Guardianship or Judgment of Adoption. If DCP&P is trying to terminate your parental rights, contact the DCPP defense lawyers at the Tormey Law Firm for immediate assistance at (908)-356-6900. Our seasoned trial lawyers know how the system works and how to best protect your rights in these cases. Brent DiMarco, a member of our DCP&P defense team, has literally handled hundreds of DYFS investigations and court matters in his career. If you or a loved one has an issue with child protective services in New Jersey, don’t wait. Contact the Tormey Law Firm today. Our lawyers represent clients throughout Essex County NJ including in Irvington, West Orange, East Orange, Bloomfield, and Montclair. The initial consultation is always provided at absolutely no cost to you. FAQ: What is the result of Termination of Parental Rights? For all intents and purposes, but for the biological connection, you are no longer your child’s parent in any legal capacity whatsoever. Termination of Parental Rights is exactly what it sounds like – it permanently severs every possible legal tie between the parent and the child. In addition, termination of parental rights “legally frees” the child for adoption and permits the child to be adopted. Once the child becomes adopted, the adoptive parent is your child’s parent – the adoptive parent will be make all of the medical and educational decisions and can change your biological child’s name. Termination of parental rights and adoption are permanent. Only in the most rare of circumstances will the Court entertain vacating a Judgment of Guardianship or Judgment of Adoption. If the Division of Child Protection and Permanency is seeking to terminate your parental rights, you should contact an experienced DCP&P defense attorney to discuss your case and develop a plan to fight to protect your parental rights. According to N.J.S.A. 9:3-50, the entry of a judgment of adoption shall establish the same relationships, rights, and responsibilities between the child and adopting parent as if the child were born to the adopting parent. Of course nothing – a Judgment of Guardianship or Judgment of Adoption – can change the biological relationship between a parent and a child. But, legally, termination of parental rights and adoption will virtually eliminate the parent’s role in their child’s life because New Jersey is not an “open adoption” state. In re Guardianship of K.H.O., 161 N.J. 337 (1999). In other words, in New Jersey, a biological parent does not have a right to visitation once their child is adopted. In addition, there is no right for a biological parent to be provided with the adoptive parent’s contact information. 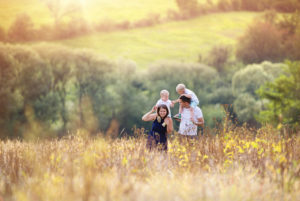 However, in many situations, the biological parent knows the adoptive parent because DCP&P has placed the child with a grandparent, aunt, uncle, or family friend. But, just because the biological parent knows the identity of the adoptive parent, the biological parent will not have a legally enforceable right to any visitation or contact with their child. If your parental rights are terminated and your child is in a confidential resource home, you sadly may never see your child ever again. The only option you have to preserve the chance of contacting your child in the future is by voluntarily maintaining your information with the New Jersey Division of Child Protection and Permanency Adoption Registry. The Adoption Registry permits a child that has been adopted to look up their biological family members’ information once the child turns eighteen years old. If you are currently involved in DCP&P litigation and the Division will be presenting the permanency plan of Termination of Parental Rights or if the Court has already approved the permanency plan of Termination of Parental Rights, every single day counts. Every moment that your child spends out of your care is one moment closer to the Court possibly terminating your parental rights and it is imperative that you take the initiative to fight to have your child returned to you. If you are not already represented by an experienced DCP&P attorney, you should contact a knowledgeable DCP&P defense lawyer to discuss your case and what actions you can take to work towards preserving your parental rights. Our lawyers are available now at (908)-356-6900.